Jared Flitcroft, co-writer and director of the Tama short film project was a recipient of the AMP Do Your Thing! Advicefirst Wellington scholarship. The AMP Do Your Thing Scholarship is all about helping Kiwis ‘do great things’ from rocket-building to taekwon-do to opera singing. With more than $1.5 million awarded across the country over the past 14 years, our scholarships have helped aspiring Kiwis achieve outstanding things across a number of fields. 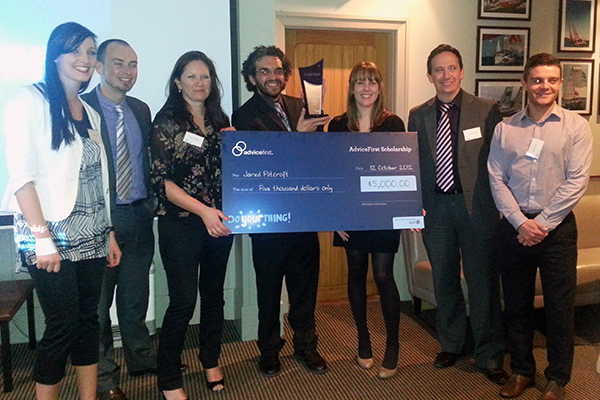 A special thanks to the team at Advicefirst for hosting a wonderful awards night in October. Jared has donated the $5,000 award to the Tama short film project, he and Nadia have also been invited to attend the AMP National Awards in Auckland in November.